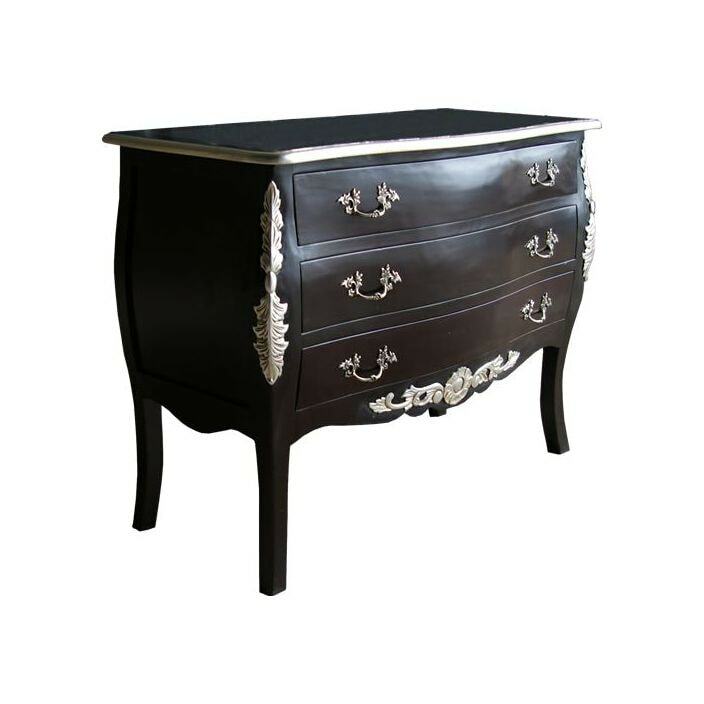 We proudly present for your consideration this exquisite Antique French Chest, finished in black with stunning silver decoration. Everything about this chest oozes style. Completely hand made, carved, finished and assembled it will add a wonderfully eclectic feel to any room. Working well either on its own as a stand alone piece or complimented alongside our stunning Shabby Chic Bedroom Furniture you are sure to be impressed.